During the evening of Saturday, September 12, 1903, the Villard House Saloon was robbed by three armed males. Officer Albert C. Schaneman, 36, was one of the officers to investigate the robbery. Officer Schaneman believed he had seen the three suspects earlier that evening. As midnight approached on September 13, 1903, he was walking his beat in what is now the Occidental Park area. 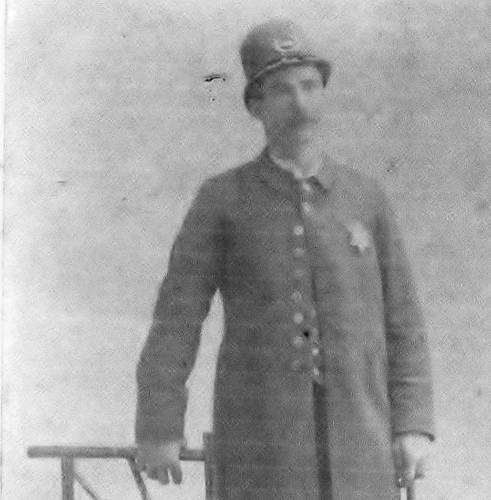 Officer Schaneman left the Labor Exchange, a saloon on Washington St. near Railroad Ave. He went to 1st Ave. and turned south. Witnesses reported he was walking quickly with a determined look on his face. He was not stopping to talk to people as was his habit. At Main St., the officer turned east and was walking on the north side of the street. A few moments later, several witnesses heard the sound of two gunshots coming from Main St. between 1st Ave. and Occidental Ave.
Mr. E. J. Hickey heard the gunshots from the doorway of the Touraine Bar at the northeast corner of Occidental Ave. and Main St. He saw Officer Schaneman chasing two men who were running south. Hickey lost sight of the two suspects in the shadows in front of George B. Adair & Sons at 309 Occidental Ave. As the officer approached that spot, he slowed to a walk. Hickey then saw the officer struggling with one male. Almost immediately, he heard two shots, a short pause, and then a third shot. With the third shot, he saw Officer Schaneman throw up his arms and fall to the sidewalk. He had been shot from behind. A .38 caliber bullet entered just behind his left ear. The two suspects ran south. Within minutes, Officers Hans Damm and E. F. Bryant were at Schaneman’s side. He was unconscious and dying. A phone call was made to the police station to have the patrol wagon respond. In the meantime, the suspects had run south to Jackson St. and west to 1st Ave. Officers G.T. Philbrick and John W. Huff had heard the shots and were at 1st Ave. and Jackson St. when they saw two men running south. They ran after the two and ordered them to stop. One of the suspects turned and shot at the officers. The officers shot back. One suspect fell. The other ran away. The captured suspect was William Thomas, who had been released from a Montana penitentiary in April 1903 after serving time for robbery. Officer Schaneman died at the scene. The place of death on his death record is listed as Occidental Ave. His body was taken to the police station. The injured William Thomas was also taken to the police station and laid on the floor just feet from the officer’s body. An employee of the Villard House came to the police station and identified Thomas as one of the three robbers. Thomas said a friend (who he refused to identify) shot the officer. Thomas was armed with a .44. Schaneman was killed with a .38. The police bullet which hit Thomas had not hit anything vital. He was taken to Providence Hospital and was expected to fully recover. He was recovering until he developed an infection. He died on 9-29-1903. Officers determined that Thomas was part of a gang of thugs which travelled a circuit between Seattle, Auburn and Centralia committing robberies and other crimes. The Seattle Police Department received information that fellow gang members were going to attempt to rescue Thomas from Providence Hospital. Several gang members were arrested when they returned to Seattle, including Frank Allison. Allison was identified as one of the Villard House robbers.  Although nobody was ever tried for Officer Schaneman’s murder, police were confident that Allison was the shooter. Allison was sentenced to 20 years in prison for the robbery. Albert C. Schaneman was born on June 13, 1867 in Sheboygan, WI. He came to Seattle in 1869 at the age of 22. He had several occupations including laborer and barkeeper at the Storey House in Fremont. Officer Schaneman was buried at Lake View Cemetery. Officer Schaneman had served with the Seattle Police Department for 7 years. He is survived by his wife and son.